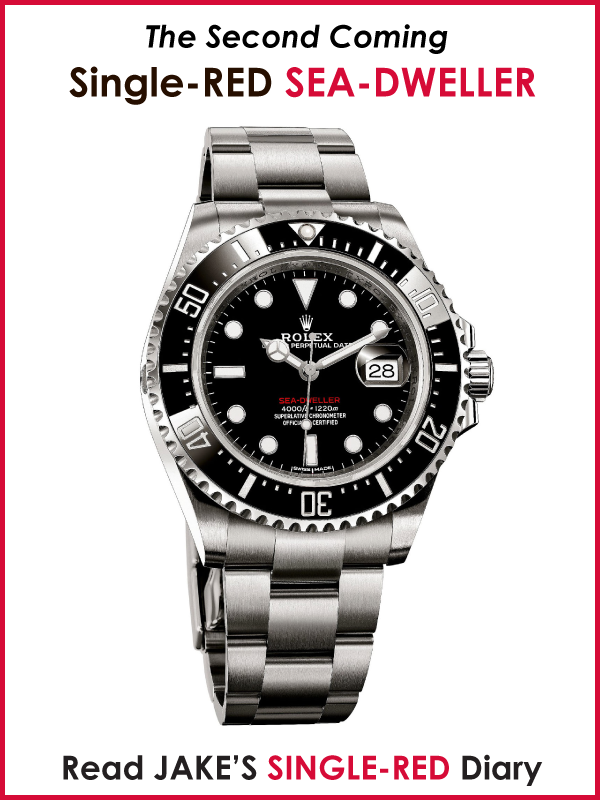 Last week Jake's Rolex Watch Blog broke the first story about how Apollo 14 Astronaut Edward Mitchell wore a Rolex GMT Master on the Moon. 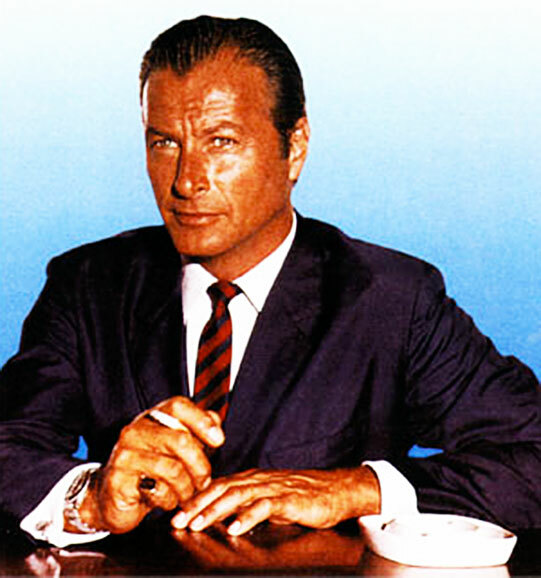 This is significant Rolex history because it was previously believed that Omega was the only watch that ever flew to and was worn on a Moonwalk–which was just proven to be untrue by Jake's Rolex Watch Blog. 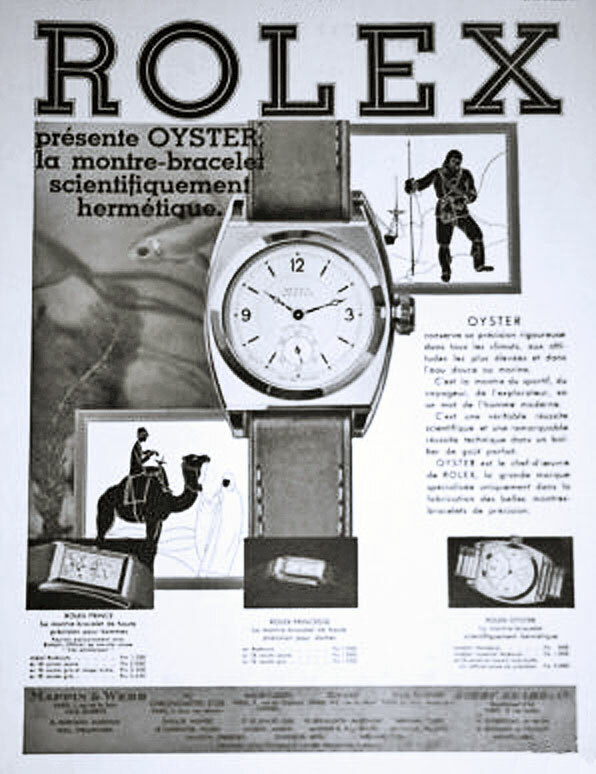 As far as I am concerned, the Rolex Moon Watch Conqueuest is likely the most significant piece of Rolex history that has ever been or could be unearthed. 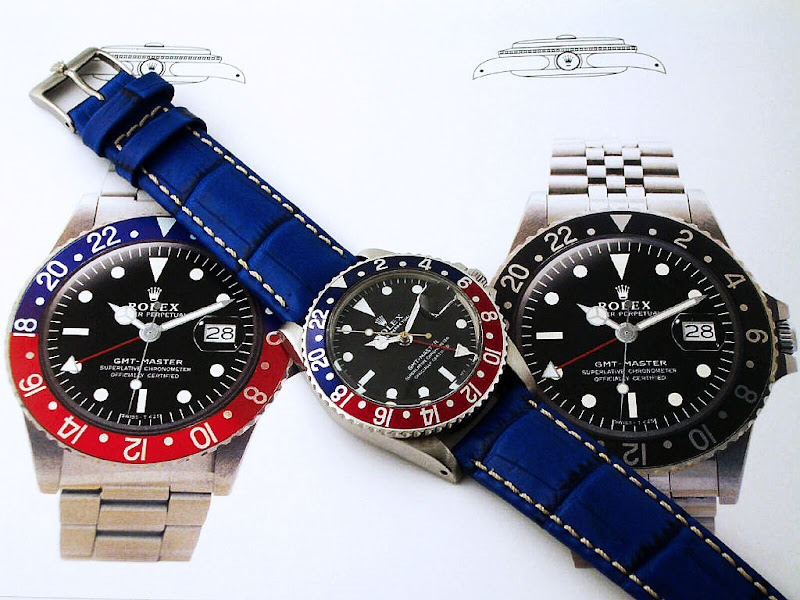 This next story is about another Rolex GMT Master that flew to the Moon & Back. 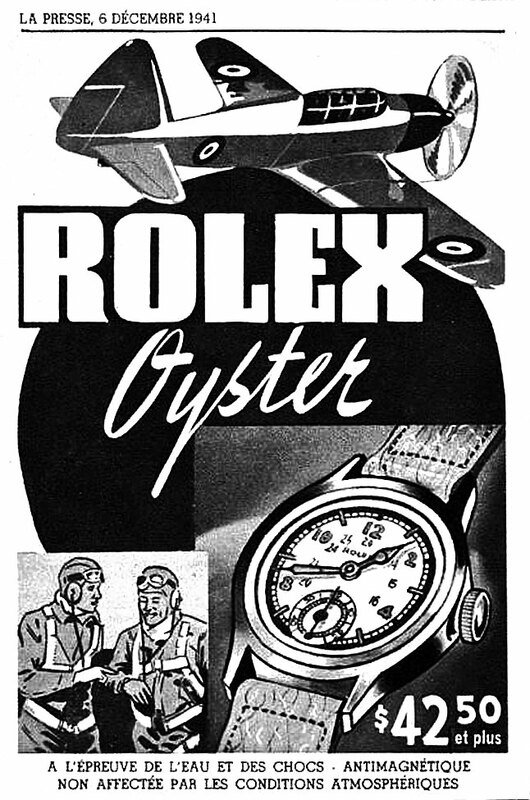 The Story of Rolex Oyster's flying to the Moon and back is fascinating. 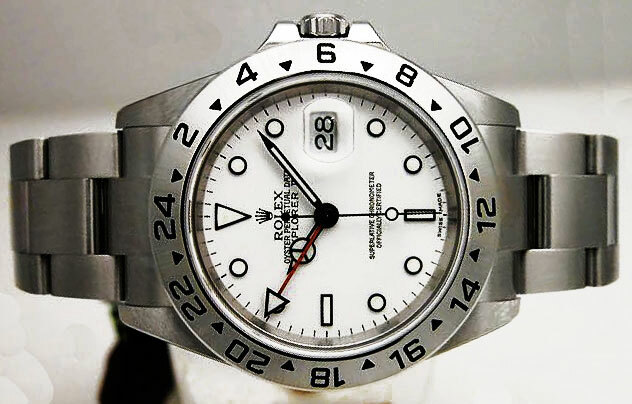 From all the research I have completed, it appears as if many of the NASA Astronauts wore Rolex GMT Masters. 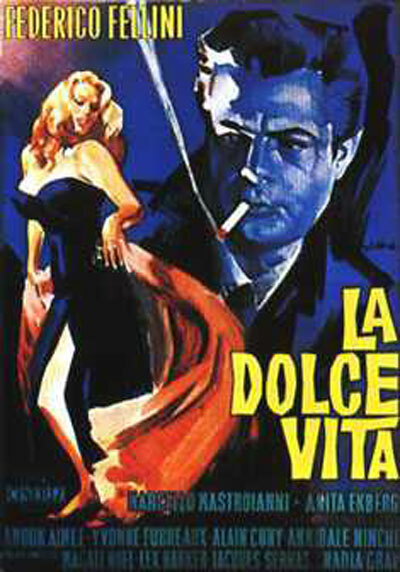 Perhaps many more than anybody previously realized. 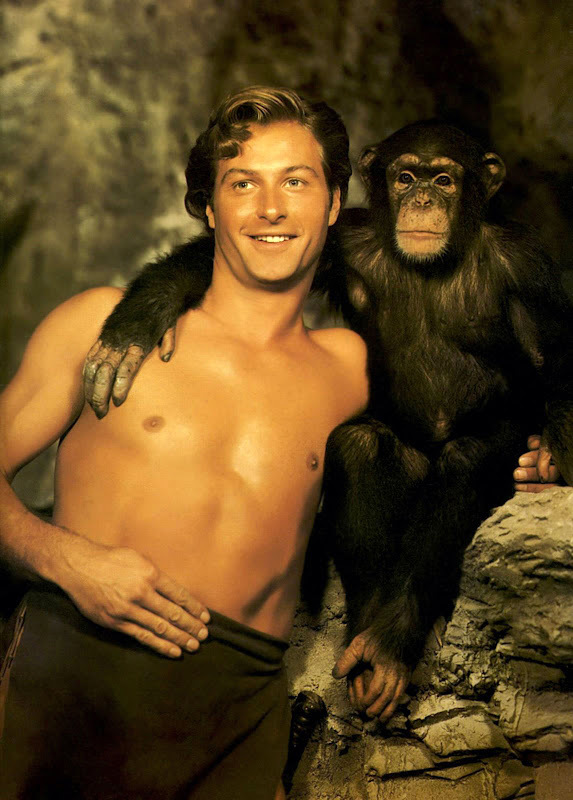 In the months to come I will be sharing much more of this fascinating history with you. 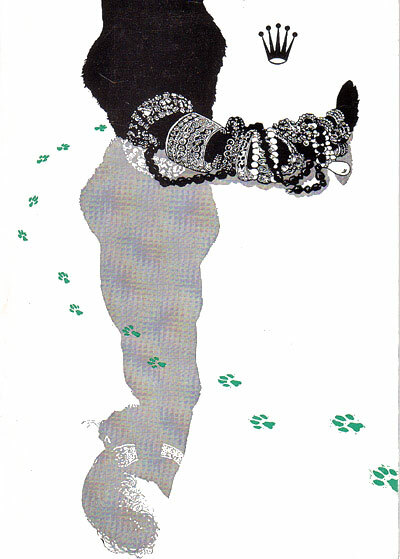 Click on the photo above to see better detail of J.F.K. at NASA. 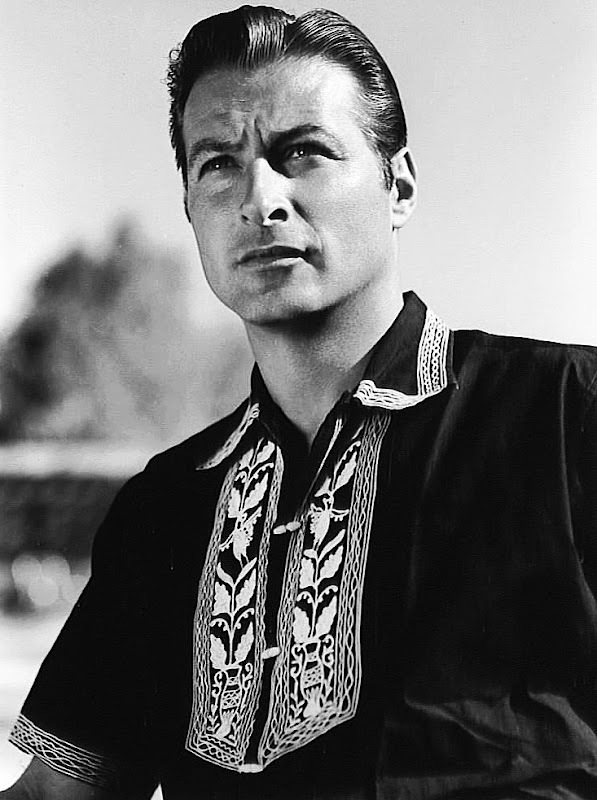 I remember when I was a kid, watching a video of J.F.K., talking about the space race to the Moon. I was so blown away with his words that I actually memorized part of his speech. 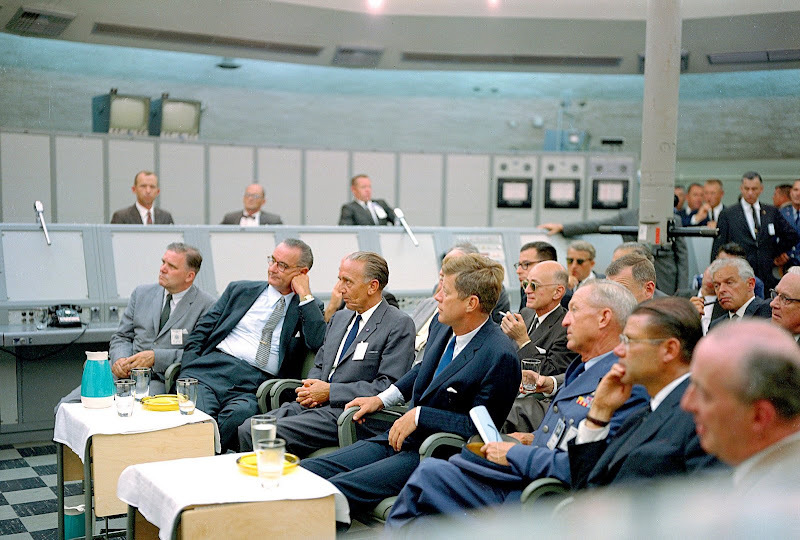 President Kennedy said, "We choose to go to the moon in this decade, not because it is easy, but because it is hard. Because that goal will serve to measure the best of our abilities and the others as well." Kennedy made it a top priority to put a man on the moon and doing so resulted in the development of many other profound NASA technological innovations including the silicon computer chip, teflon and velcro–things we use everyday and take for granted. As a a matter of fact, MRI (Magnetic Resonance Imaging) and CAT Scanner medical diagnostic tools owe their genesis to technology developed for lunar imaging. Even LED (Light Emitting Diodes) were originally developed by NASA for plant growth experiments on the Space Shuttle. 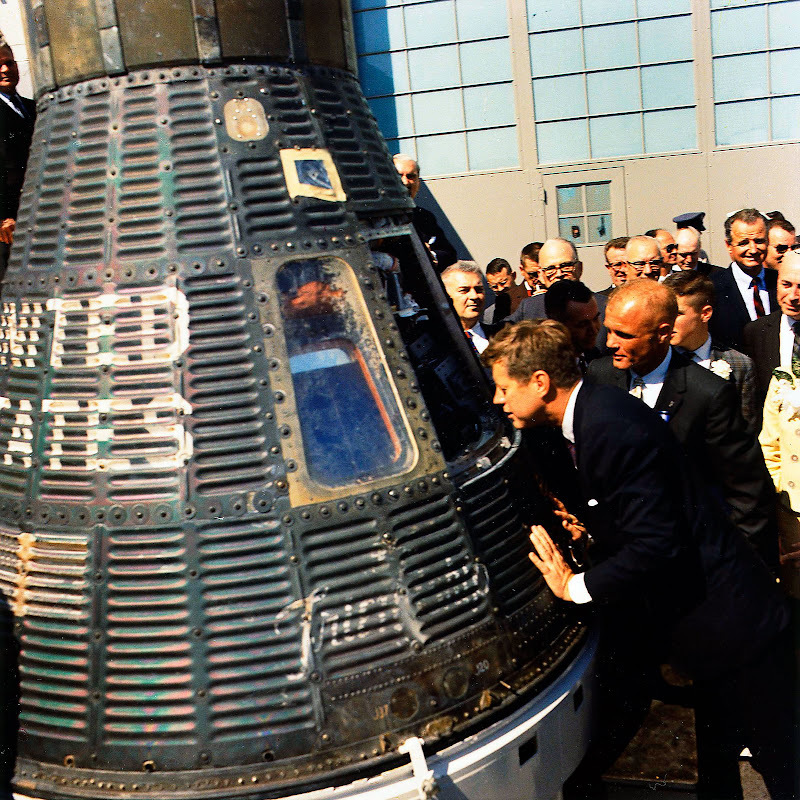 President Kennedy is pictured above with NASA Astronuat John Glenn inspecting an American landing module. 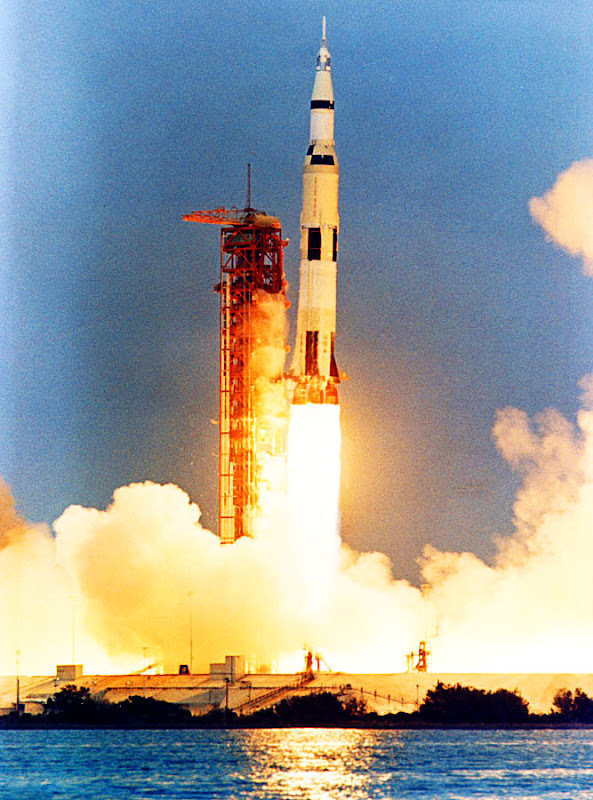 Apollo 13 was the third attempted manned lunar-landing mission. 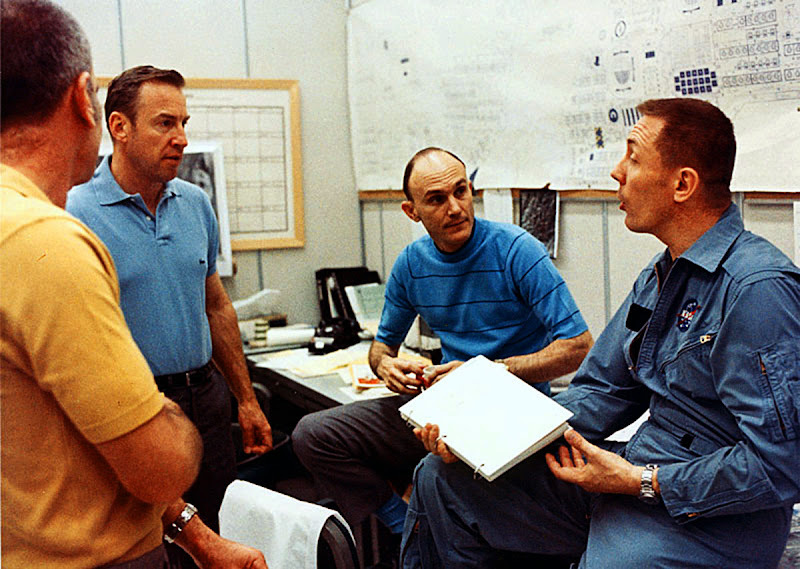 John Swigert, pictured on the far right wearing his Pepsi Rolex GMT Master was not originally on the prime crew for Apollo XIII, but had to take the place of Ken Mattingly (next to Swigert wearing striped shirt) when Mattingly was exposed to rubella (German Measles) just before the launch date. 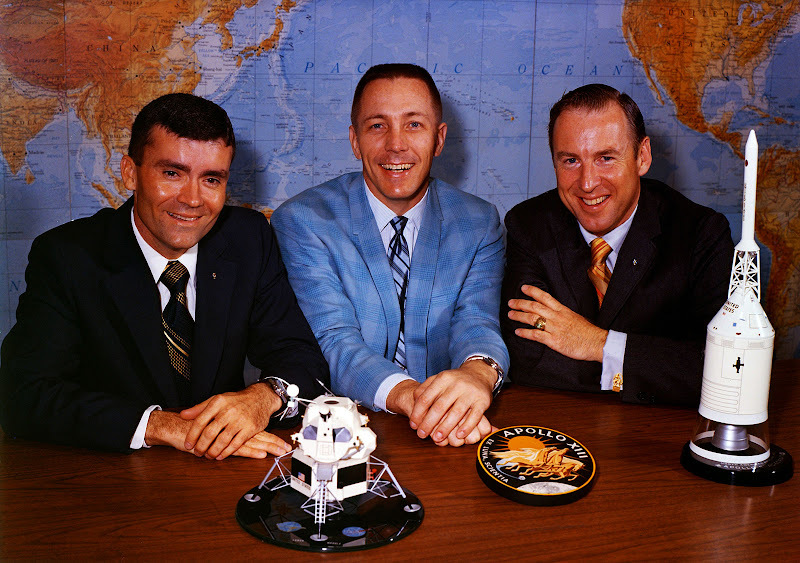 Pictured above from left to right: James Lovell (Commander), Jack Swigert (Command Module Pilot) and Fred Haise (Lunar Module Pilot). 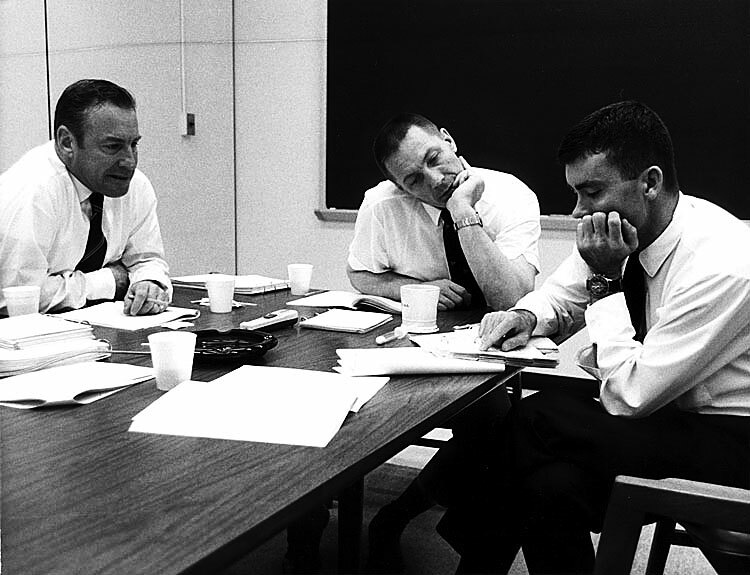 Notice in this pre-flight meeting Swigert is wearing his Rolex GMT Master. It was a custom at NASA for all the Apollo Pilots to have a pre-launch breakfast of Steak and Eggs on the day of the launch which in this case was April 11, 1970. 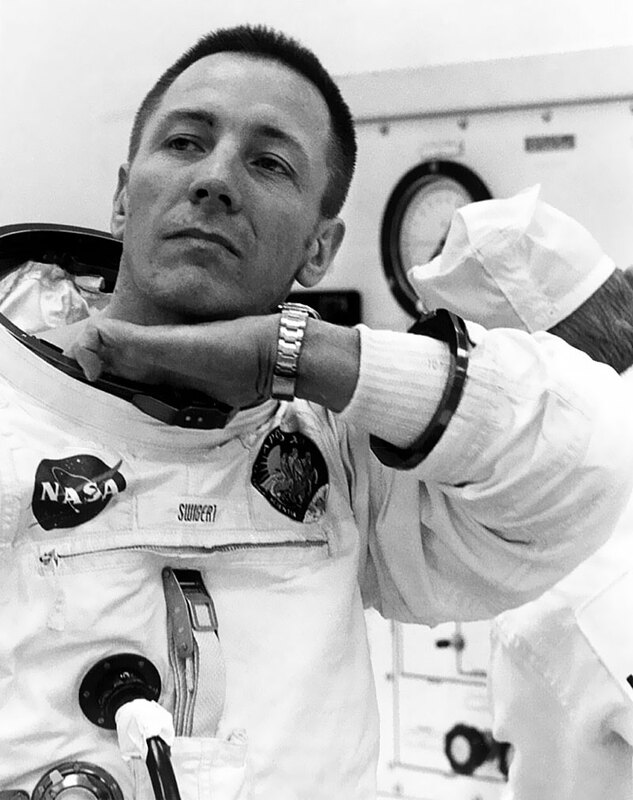 As you can clearly see, Jack Swigert is wearing his Pepsi GMT Master just before he suits up to go the Moon. 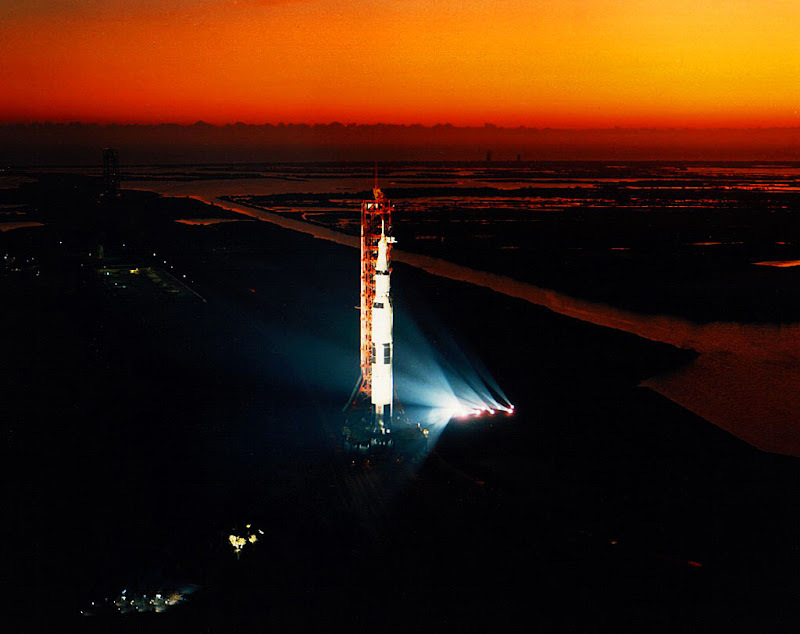 The Saturn V Rocket is pictured above and in the photo below it is pictured during the pre-dawn roll out to the launch pad. Apollo 13 made it safely to Moon orbit then all hell broke loose when there was a huge explosion that occurred on the number two oxygen tank. 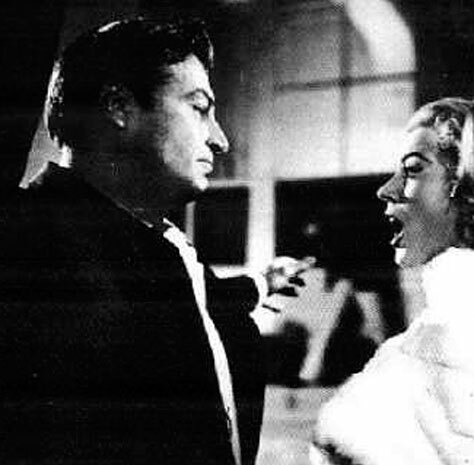 To make a long story short, they had to turn around and come back and were not able to go down to the lunar surface. Instead of slowing down to enter the Moon orbit, Apollo 13 used the lunar gravitational pull to catapult them around the dark side of the moon and slingshot them back toward earth. 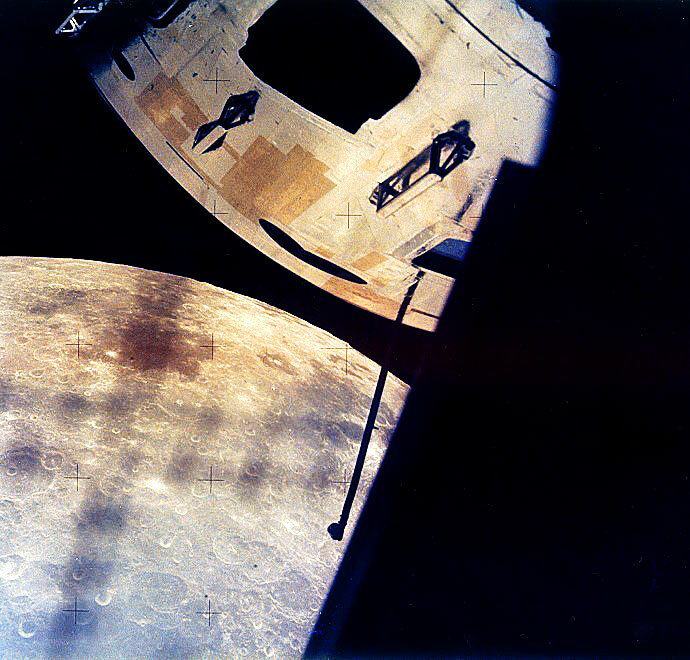 When Apollo was circulating around the dark side of the moon, they lost radio contact with Earth so they took photos of the Moon from the Aquarius' porthole including the one below which includes a view of the damaged Command Module. 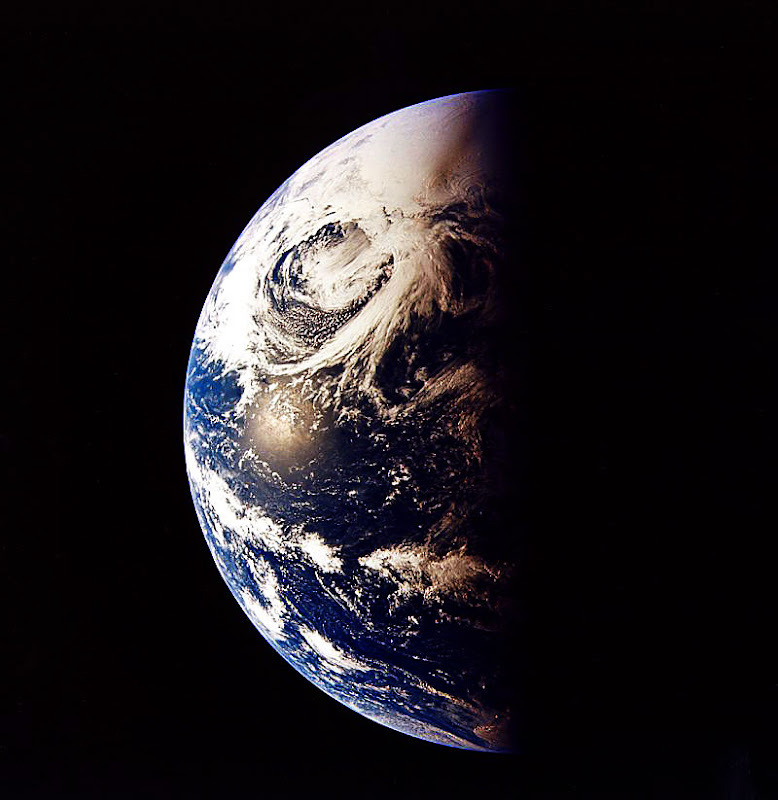 The photo above was taken from the Apollo 13 as was the photo of earth below. 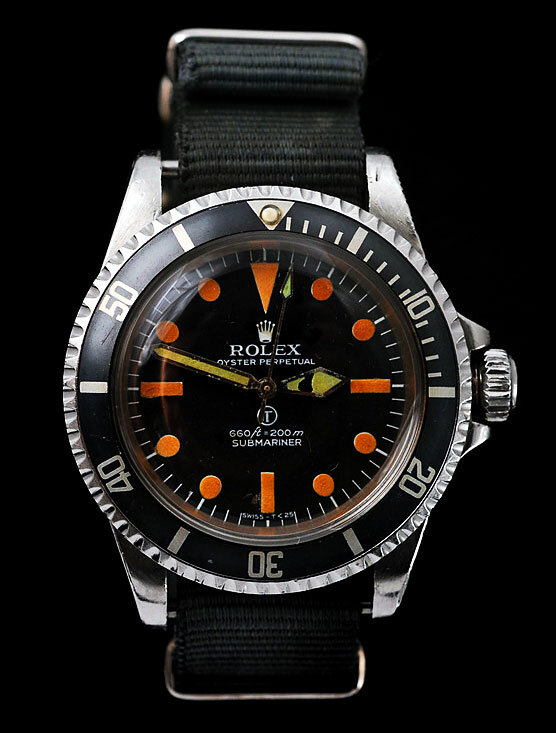 This is a highly controversial topic, but it's commonly believed the Apollo Astronauts only made it back safely to Earth because Jack Swigert was able to use his Rolex GMT Master watch or watches to time everything correctly. 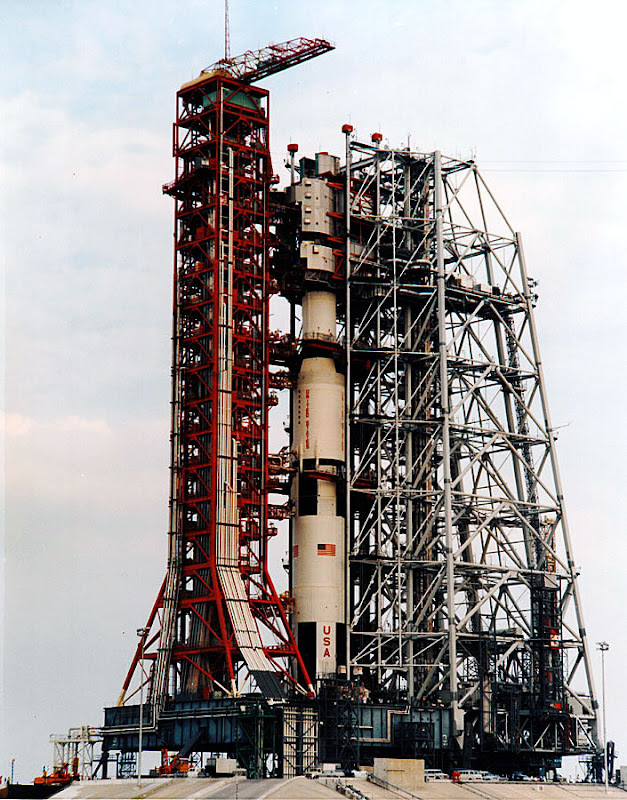 This is because after the on-board explosion occurred in the oxygen tank on the Service Module (SM) it knocked out all the electrical power in the Service Module and Command Module (CM) with the exception of emergency power that could only be utilized for re-entering the Earth's atmosphere. This lack of power rendered all the on-board timing devices useless. The crew of Apollo 13 had no choice but to enter the Lunar Module (LM) in order to survive and this required they turn off all the power on everything in the Lunar Module. The Lunar Module was designed to accommodate two Astronauts, not three so they had to improvise and make accommodations, not to mention it was designed to have only two days worth of electrical power. The ground crew at NASA had to be very creative and resourceful and come up with ways to make the two days worth of power in the Lunar Module last five days so the Astronauts could return safely to earth. 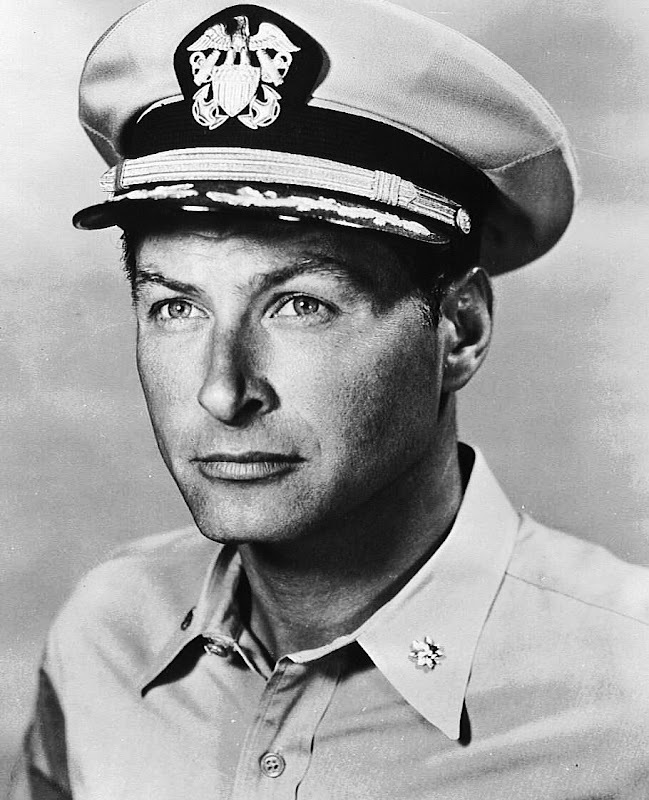 In order to do so, virtually all on-board systems had to be powered down including the communications transmitter. Only the radio receiver was left on so the Apollo 13 crew could get instructions from NASA Mission Control. Of course this rendered all of the timing devices on-board to be useless. 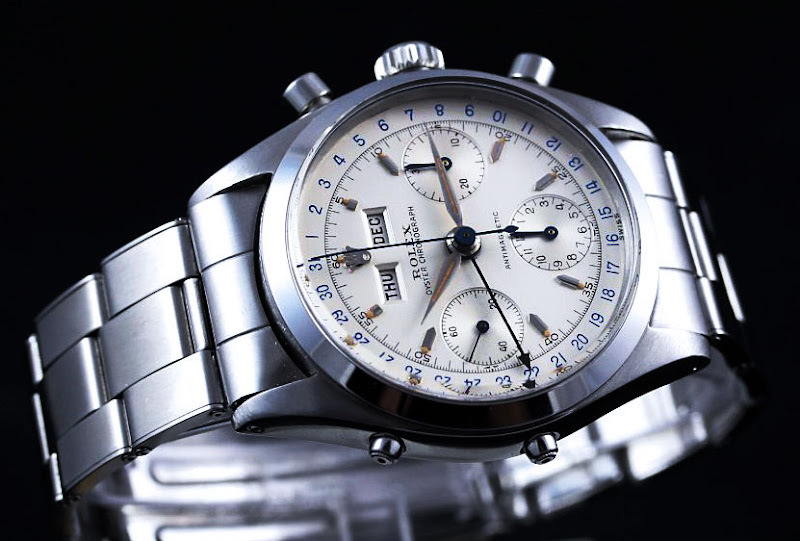 Jack Swigert had to depend on his GMT Master for timing critical engine burns and thrust intervals as they boomeranged around Moon to set their trajectory for returning to earth safely. Without Jack Swigert and his GMT Master they probably would not have made it back safely to earth. If I understand it correctly NASA calculated at the time there was a 1 in 10 chance they would get back to earth safely and that depended on Jack Swigert being able to keep them on the perfect trajectory. If they strayed by even two degrees they would have missed the Earth's gravitational pull and would have kept going past earth. 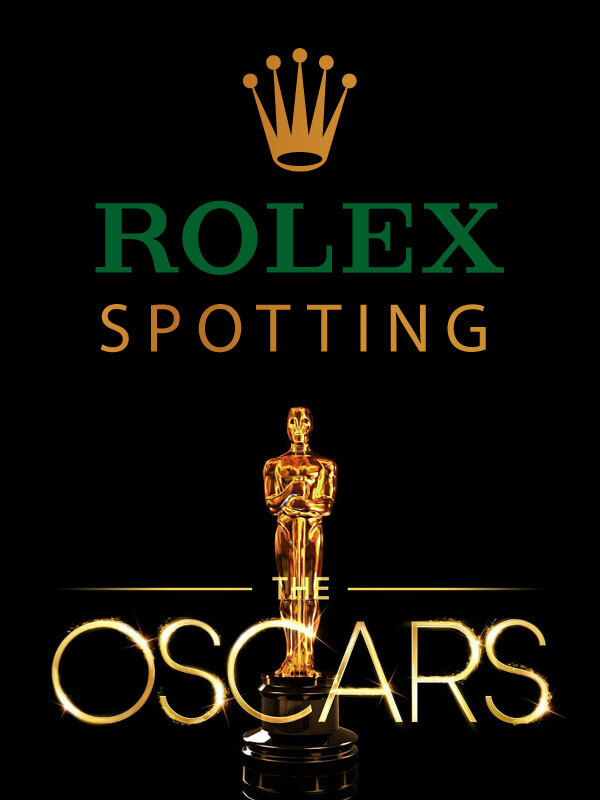 It was put forth that since the Omega Speedmaster was the "Official" Moon watch that the Omega saved their lives, but James Dowling & Jeff Hess' claimed in their book "Rolex Wristwatches" that it was a Rolex GMT that Jack Swigert depended upon. 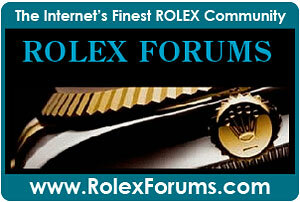 I don't know because I was not there, but it is an interesting topic for Rolex enthusiasts. I have spent a great deal of time researching much evidence that exists and I think James Dowling & Jeff Hess are correct. 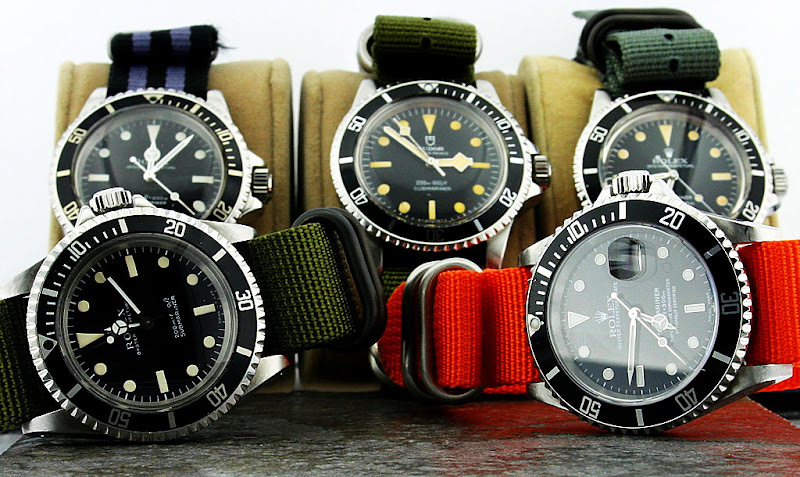 Chuck Maddox was a big chronograph collector and had a wonderful horology blog he published before he unfortunately passed away a few months ago. 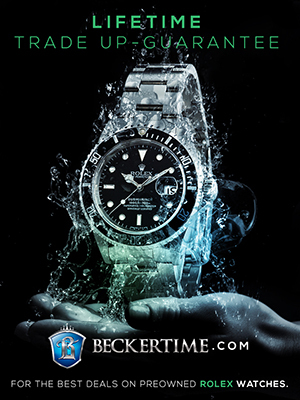 Chuck Maddox was also fascinated with the history of watches in space and Moon watches. 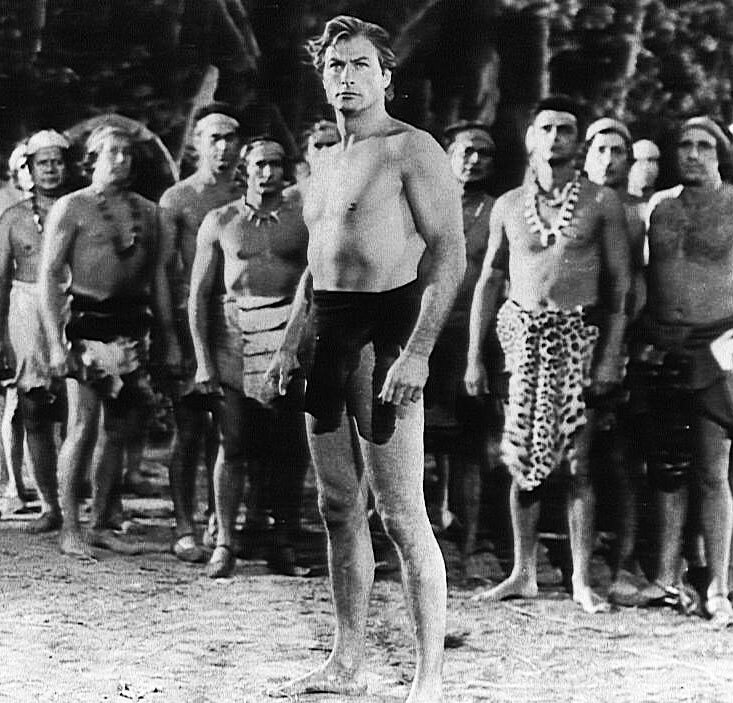 He also seemed to be a big Omega fan. 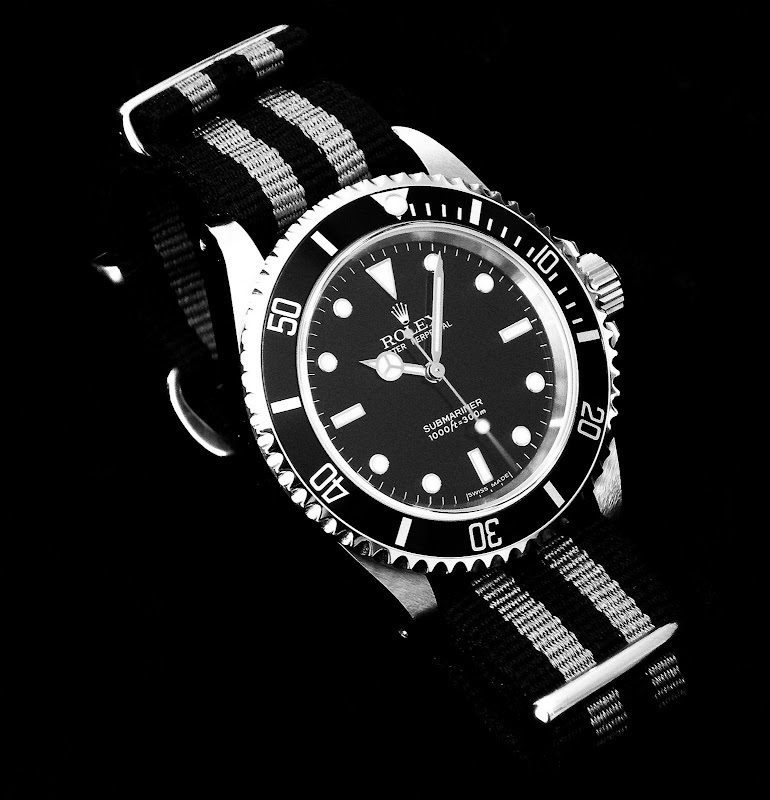 In an article that attempts to define once and for all what watches were worn on the moon which you can see by clicking here, Chuck refuted James Dowling & Jeff Hess' account of Jack Swigert using his Rolex GMT to do the timing, but all the evidence I have uncovered suggests that Dowling & Hess were correct and that Chuck simply did not have all the evidence. 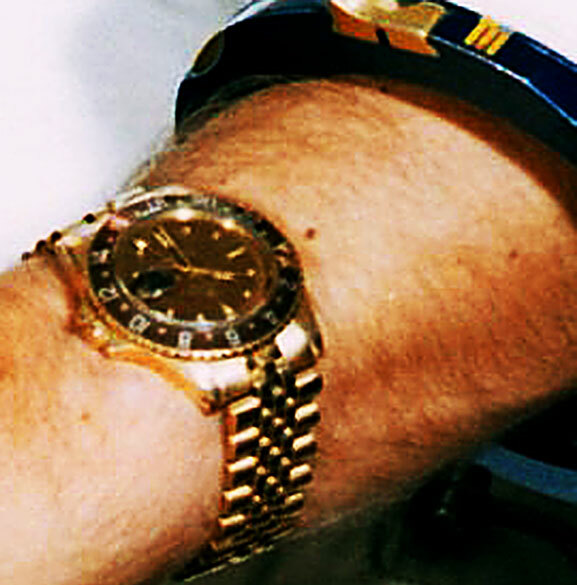 As a matter of fact it seems that Chuck was way off, and that Dowling & Hess at the time of that edition of his book were not aware of the evidence I recently uncovered that proves that Edward Mitchell wore a Rolex GMT on the Moon during Apollo 14 which you can view by clicking here. Also, I included in Part 2 of this story (below) the full-length video of the press conference for Apollo 13 where Commander James Lovell specifically states and Swigert confirms that Swigert was responsible for the timing critical engine burns and thrust intervals. It was extremely fortunate and nothing short of a miracle, that the NASA Astronauts were able to return to earth. The photo above was taken at a press conference a week after the Apollo Astronauts returned to earth. Click on the upper NASA photo for great detail. 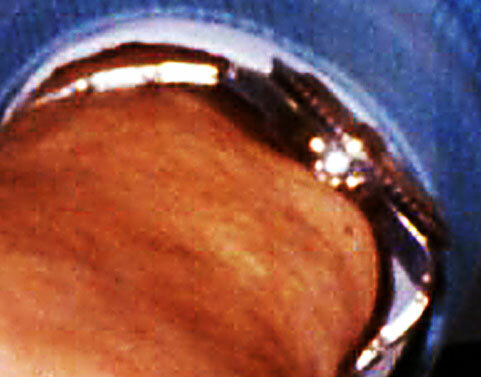 As you can see in the zoomed photo below, Jack Swigert is still wearing his Pepsi Rolex GMT Master. 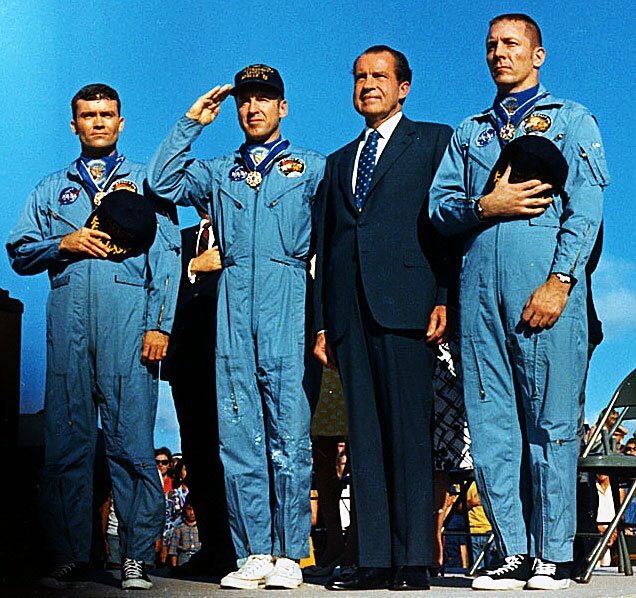 Pictured below, the Apollo astronauts all received the Medal of Freedom from then U.S. President Richard Nixon in Hawaii. 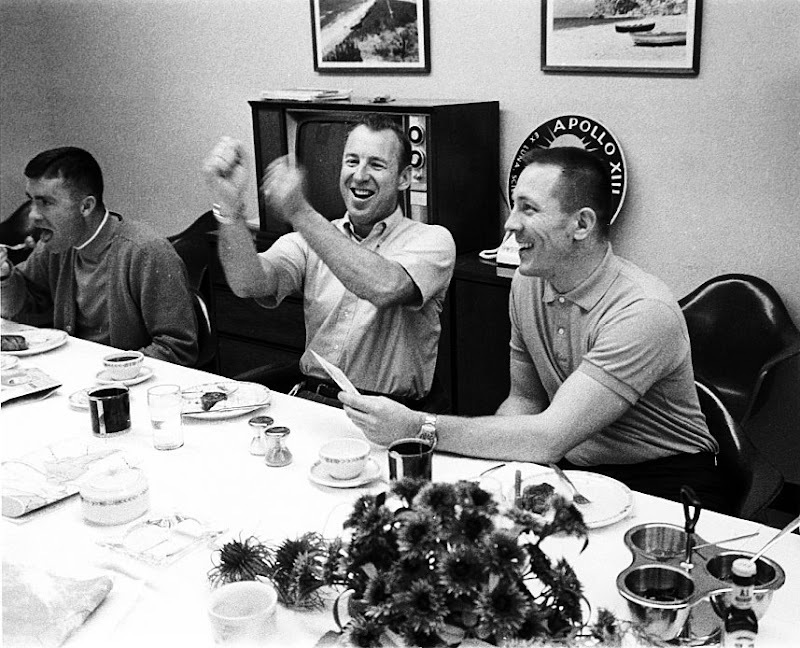 Notice that Jack Swigert, pictured on the far right is wearing two watches? 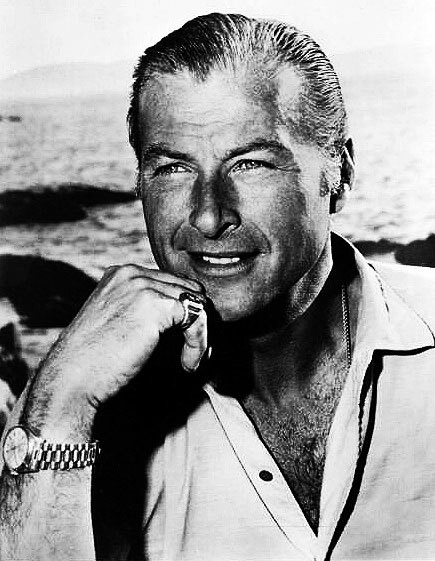 When we reviewed Apollo 14 last week we noticed Ed Mitchell was also wearing what appeared to be two Rolex GMT's–one on each wrist, and I figured out why. Beginning with the Gemini program, Astronauts would wear two watches at the same time so they could time different tasks simultaneously. It was typical for Astronauts during space-flight to keep one watch set to Mission Elapsed time (MET) while the other was set to Greenwich Mean Time (GMT) or Houston time. 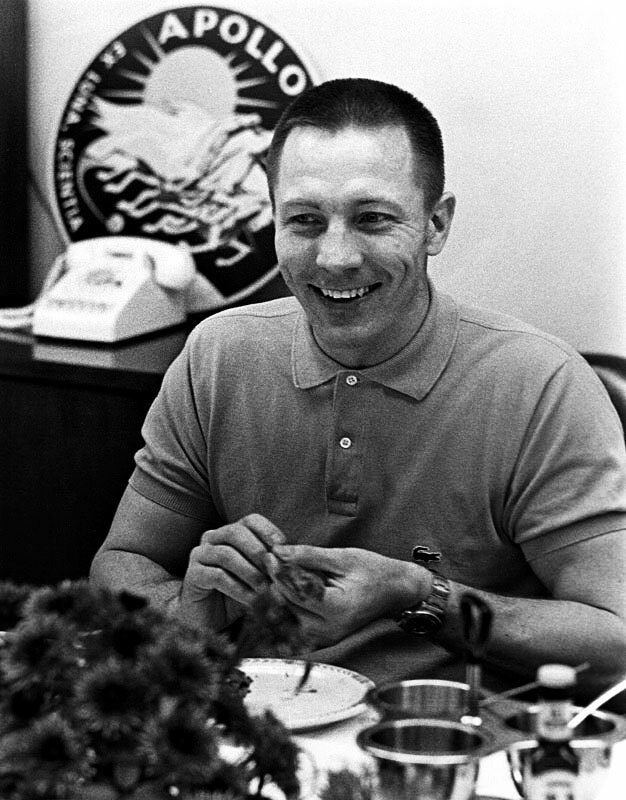 This is conjecture, but I think I may have figured it out why Jack Swigert and later, Edward Mitchell on Apollo 14 wore Rolex GMTs instead of Omega Speedmasters. The first reason is because the Omega Speedmaster is a chronograph, which can only keep time in one zone and keep elapsed time as a second measure. 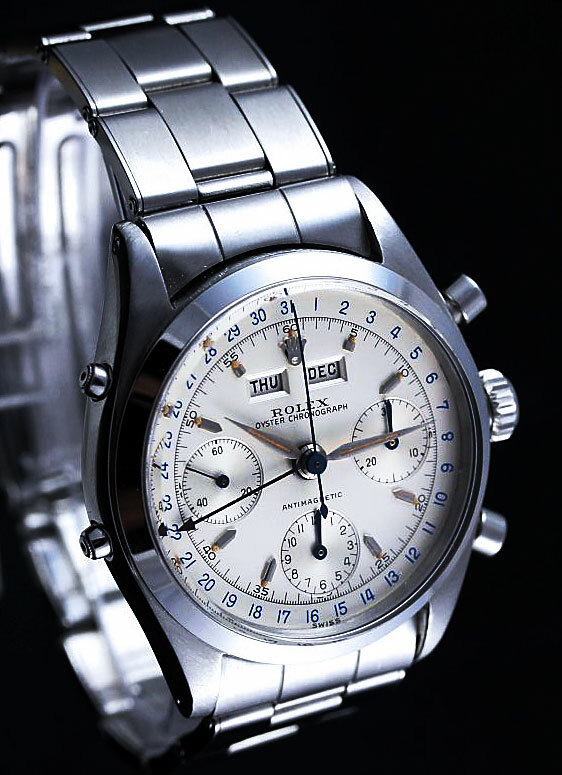 The challenge with using a chronograph to keep time in a second zone is that you have to start it and stop it, which is a bit cumbersome. 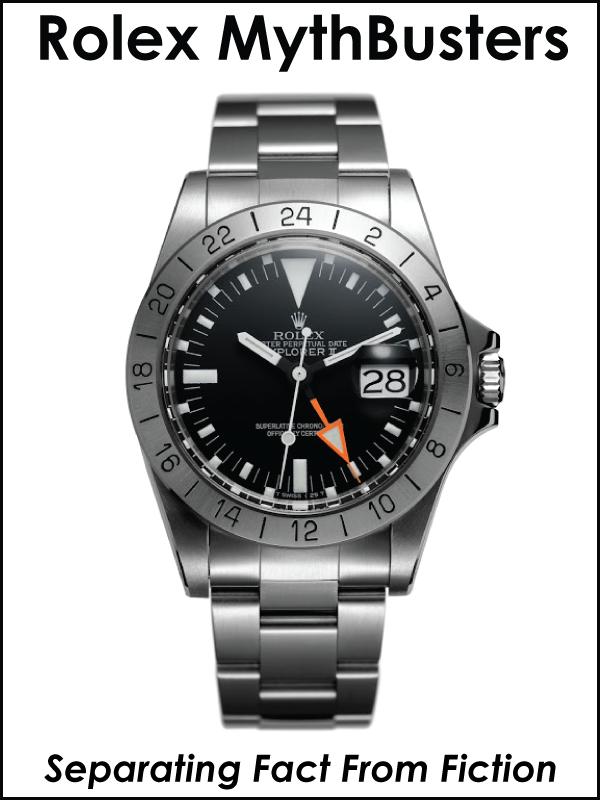 The GMT Master, however, can keep permanent time in two zones without having to start and stop it. This is significant because the astronauts liked being able to keep time for different tasks–simultaneously. The second reason it for redundancy. 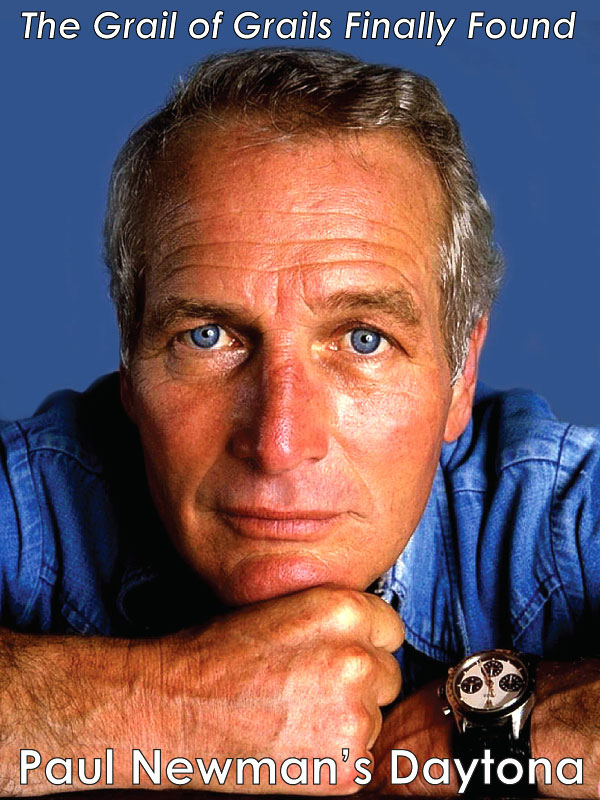 It is a fact that an Omega Speedmaster had its crystal knocked off during Extra-Vehicular Activity (EVA) on an Apollo mission, thus rendering the watch useless. When you are in space and there is no day and night you really need to be able to depend on your watch as a precise time keeping instrument. Timing is everything!!! If one watch failed or broke, the other one would work. This is just my best guess, but it makes sense to me. All the Astronauts in the flight jump suits are wearing Chuck Taylor Converse High-Tops. I used to wear those when I was a kid. 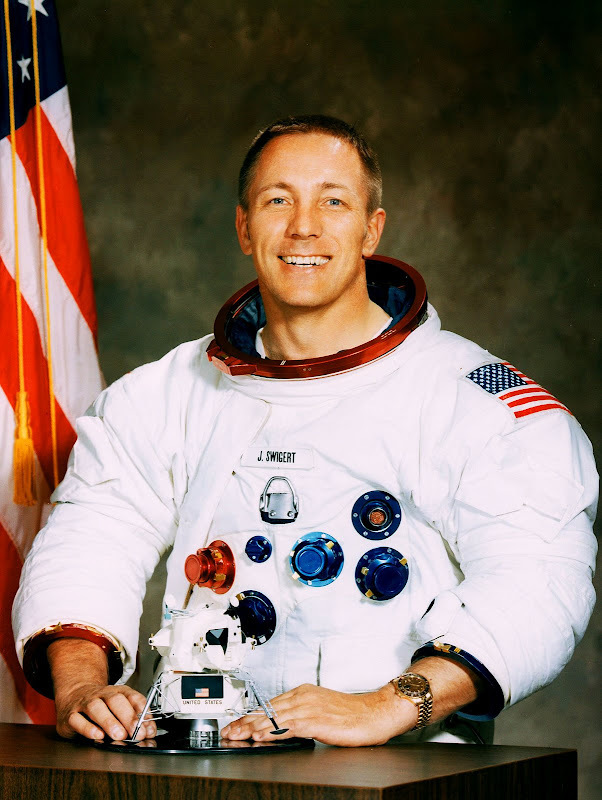 The photo above of Jack Swigert was taken a month after he returned from his harrowing space experience. 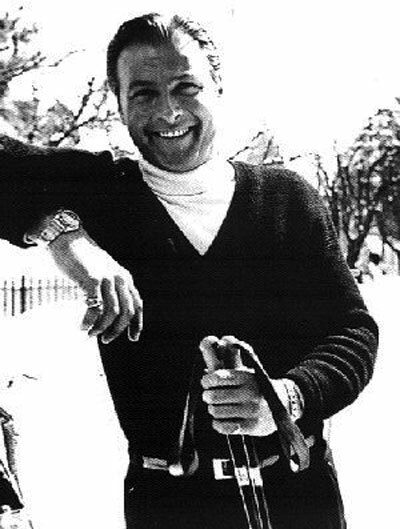 Click on the photo for a great close up and notice in the zoomed image below, Jack Swigert is wearing a Yellow Gold Root Beer Rolex GMT Master with the Jubilee Bracelet. 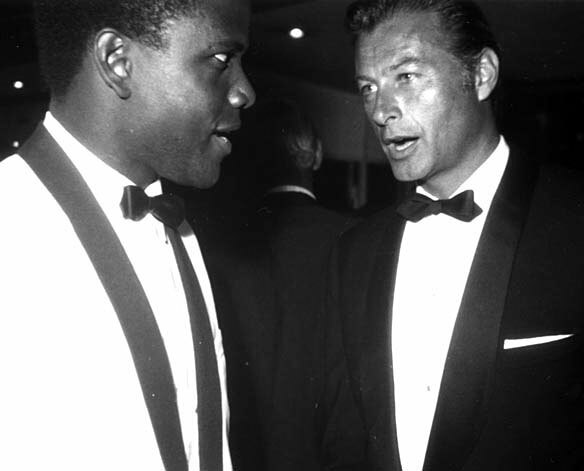 Apparently Jack loved Rolex watches like most of Jake's Rolex Watch Blog readers. 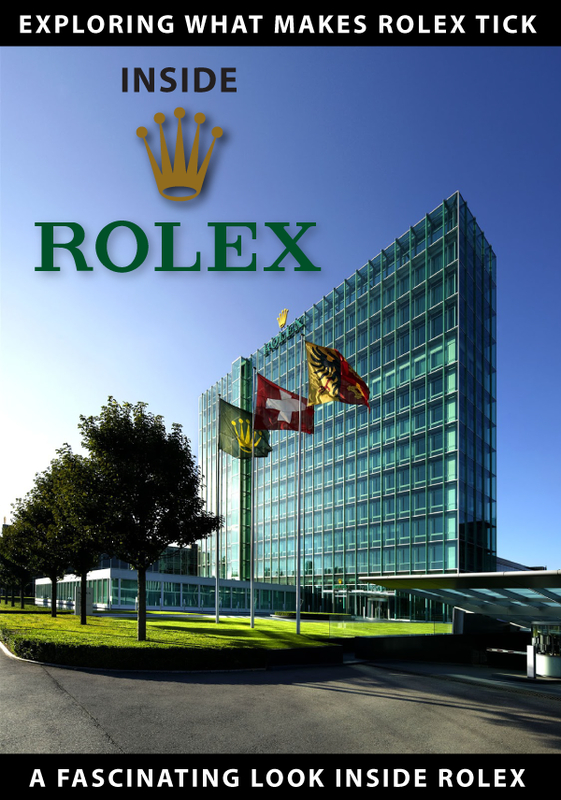 The image below is from Rolex headquarters in Geneva Switzerland, and appears in James Dowling's & Jeff Hess' Great Rolex History Book aptly named, "The Best of Time-Rolex Wristwatches-An Unauthorized History." 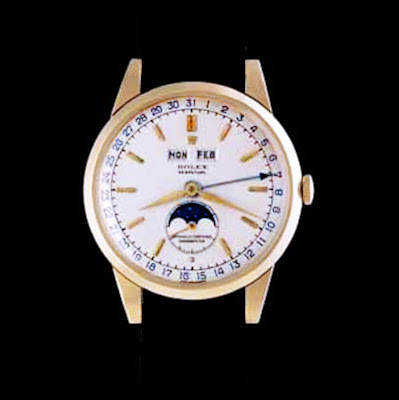 It is not easy to read, but the heading in the upper right hand corner reads, "This watch was flown to the Moon on Apollo XIII, April 11-17, 1970." 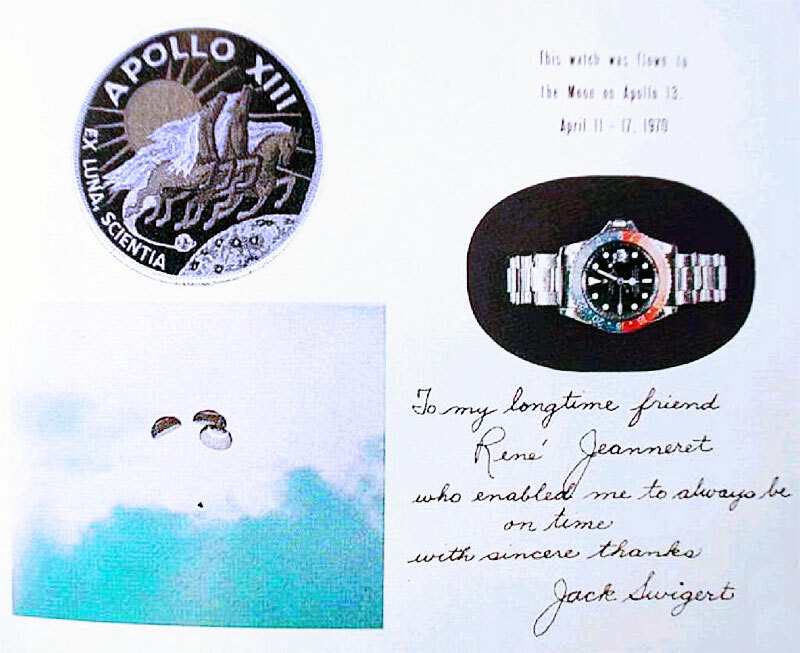 Jack Swigert gave this watch to Rolex Director Rene-Paul Jeanneret and in Jack Swigert's handwriting it reads, "To my longtime friend Rene Jeannerat who enabled me to always be on time. With sincere thanks. 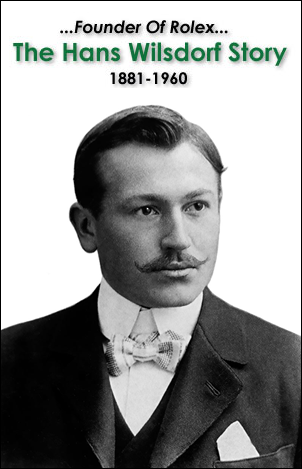 –Jack Swigert." 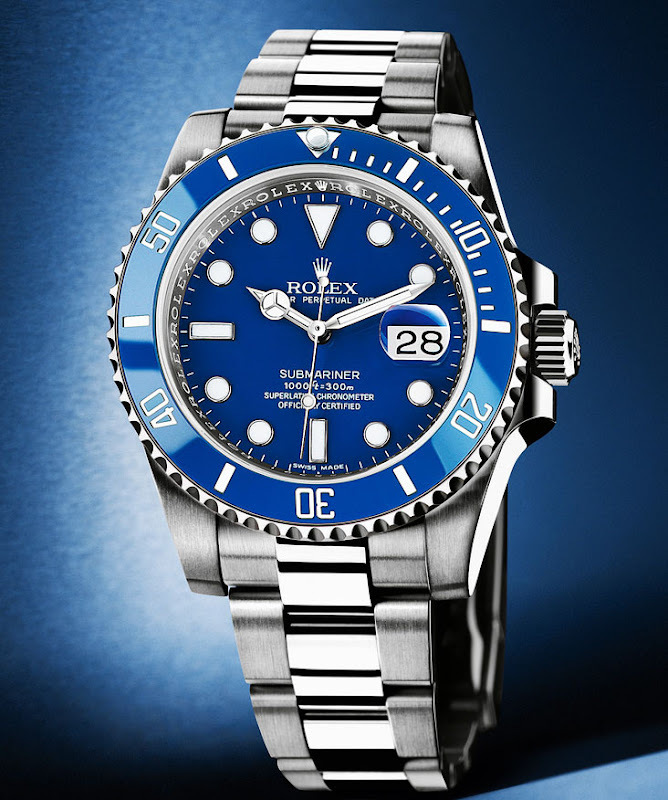 Rolex may not have been the official NASA watch, but there is an ever increasing amount of direct and circumstantial evidence that suggest the Rolex GMT was not only the unofficial NASA watch, but definitely the personal choice of many Astronauts. Here is the Apollo Launch footage from the movie "Apollo 13" starring Tom Hanks. This next video is the BBC Coverage of Apollo Re-entry. Click Here to View the Apollo 13 Wikipedia Article. 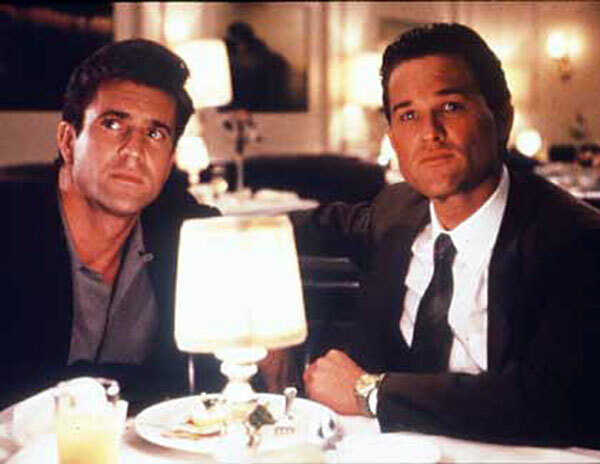 There is also a great article about Apollo 13 you can read from the Space Cowboy Saloon by clicking here. Charlie Rose interviewed Captain James Lovell when the movie Apollo 13, based on Lovell's book "Lost Moon " was released. The interview is fascinating and starts at 32.5 minutes into the show. The audio is slightly out of sync, but the interview is very interesting. 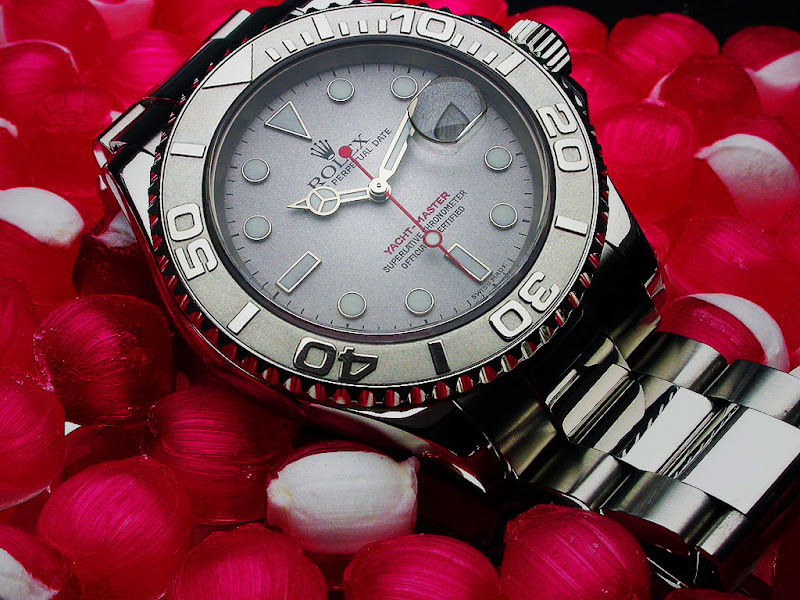 Jocke from Sweden took this yummy Yacht-Master shot and it is called "Yacht-Master Candy." 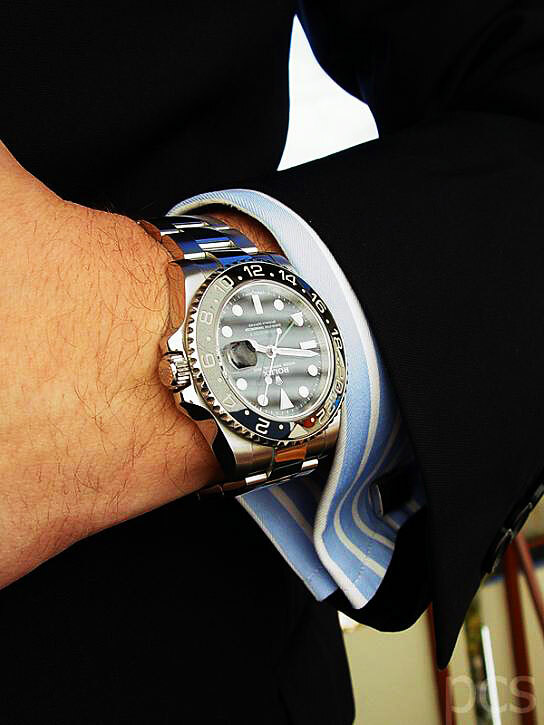 I have not seen that many Rolex watches made for wearing on your right wrist. 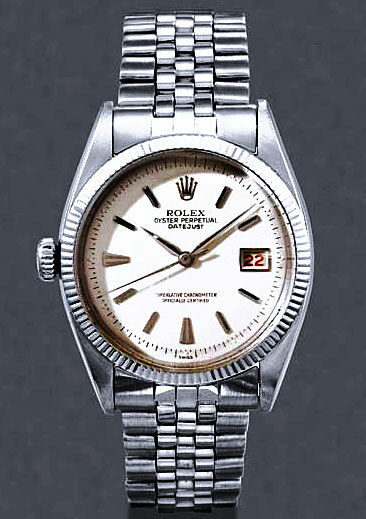 Rolex watches for south-paws are very rare–but they exist as with this vintage Datejust. 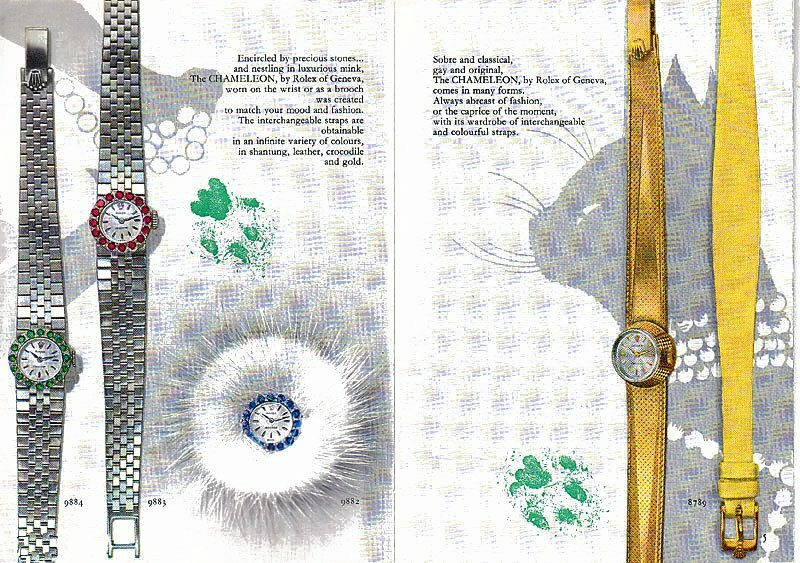 Marko from the German R-L-X.de Rolex forum is a big collector of Vintage Rolex Brochures and he is sharing this stunningly beautiful 44 page Ladies Rolex Catalog from 1962. 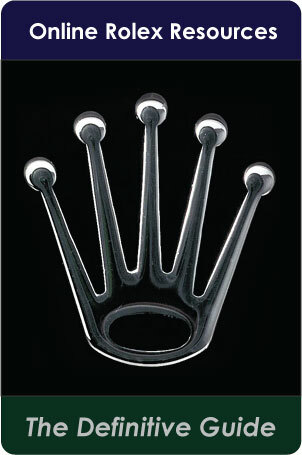 The catalog covers the introduction of the Rolex King Midas ladies watch line. 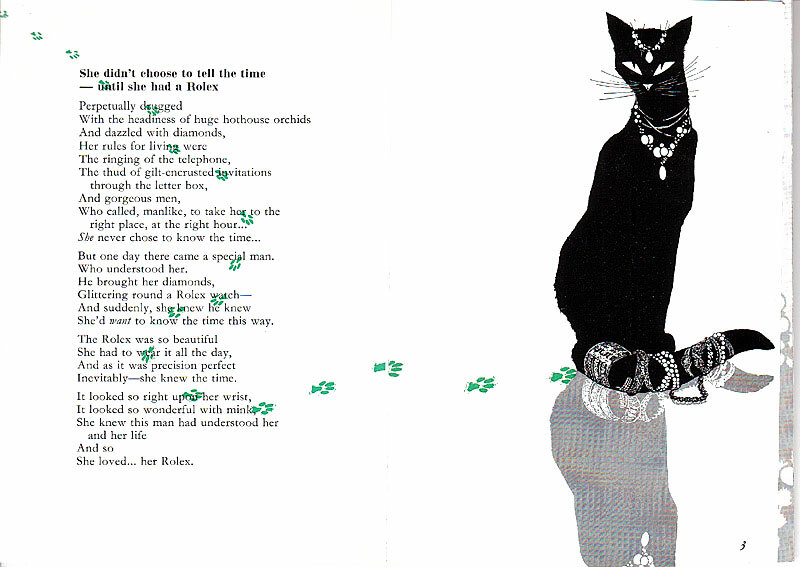 To my eyes, it appears this great Rolex catalog was inspired by Audrey Hepburn's character in "Breakfast at Tiffany's." 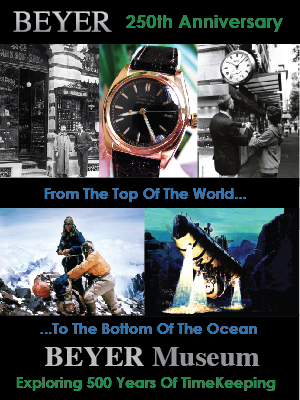 I just put up the cover, introduction and first page of watches. 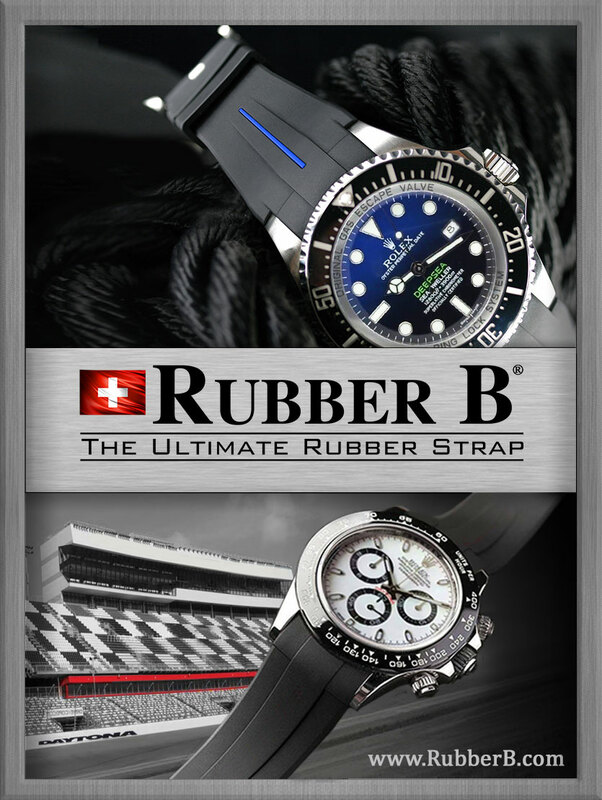 I highly recommend you take a look at the entire catalog which you can view by clicking here. 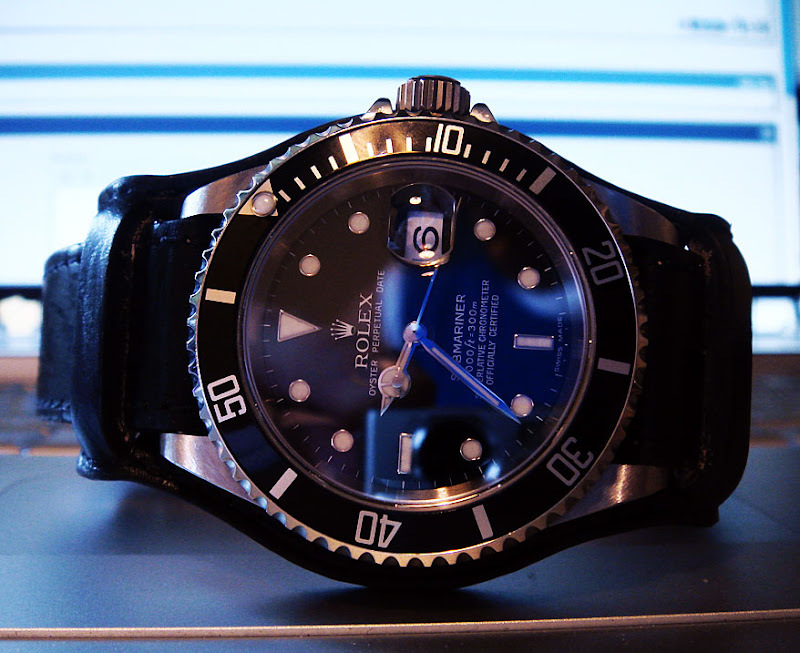 Percy (PCS) from the R-L-X.de forum sent in this excellent wrist shot of his Ceramic Supercase Rolex GMT II. 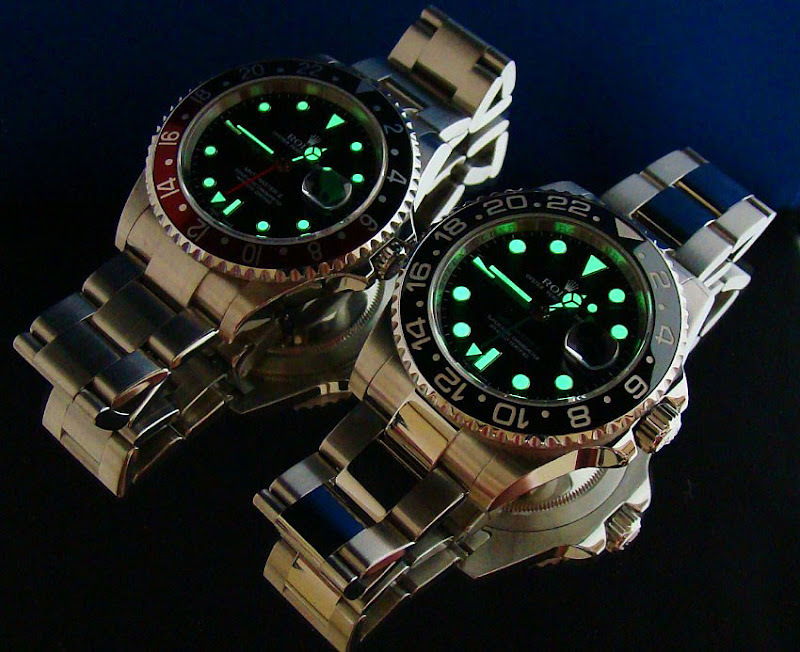 This is not only a great Lume shot, but a great comparison shot of the standard GMT II next to the new Ceramic GMT II with the Supercase, Maxi Markers, Polished Center links, Ceramic Bezel, Triplock Crown, Beefier Crown Guards, Quick comfort extension link, Fat Hands and Rolex running abound the inside the case wall. 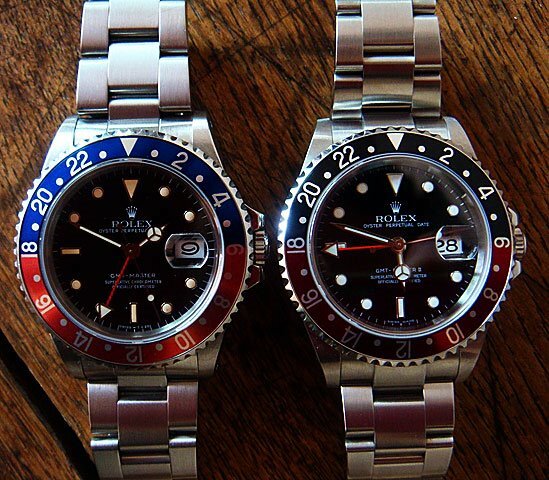 This is a fascinating comparison photo because it shows how much bigger the Supercase GMT body is compared to the Daytona. Both watches are 40mm but the GMT Ceramic in Yellow Gold has the Supercase which in to my eyes looks more macho and substantial. 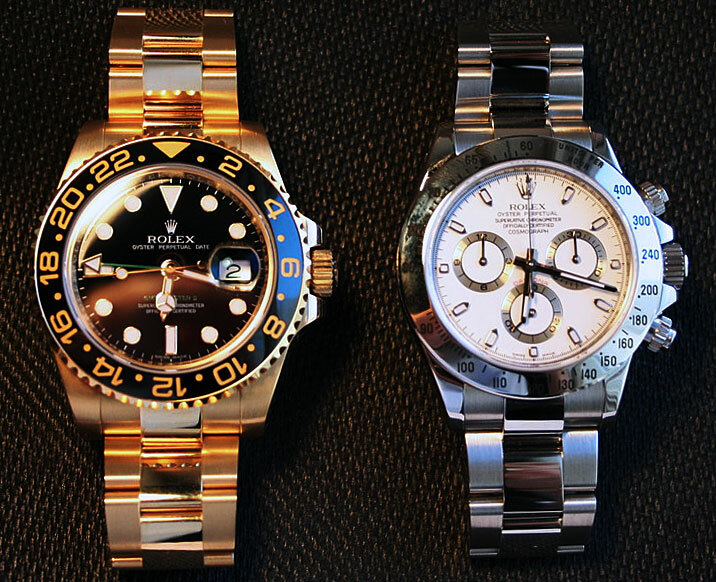 I love the evolution of Rolex design language. I really like the Maxi Markers, big crown guards, and fat hands. 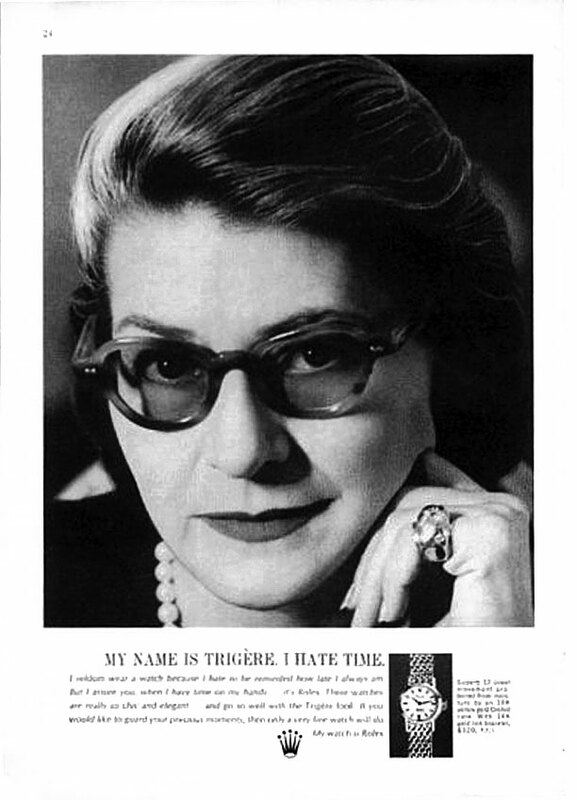 Pauline Trigère was a very famous COTY Award winning, French-American clothing designer in the 1950s and 1960s.